NSSTUDIO was approached to re-design the interior of a Harry Seidler designed apartment building in Elizabeth Bay. The apartment was endowed with ample natural light and stunning views of Sydney Harbour. 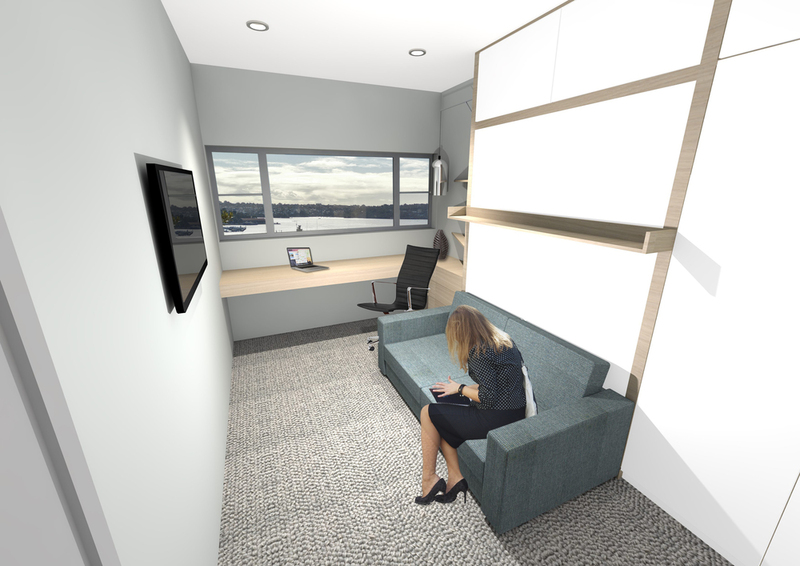 The apartment was lacking in storage and didn't allow the client sufficient flexibility to alter or adapt the rooms. The solution focused on integrated joinery with a fold out bed and ample storage. The ability to transform the room from study to guest bedroom creates a flexible space without unnecessary clutter. The project also involves a redesign of the master bedroom, living room and laundry.